Humanitarian organization’s website makes it easy for visitors to donate small amounts that make an enormous impact. 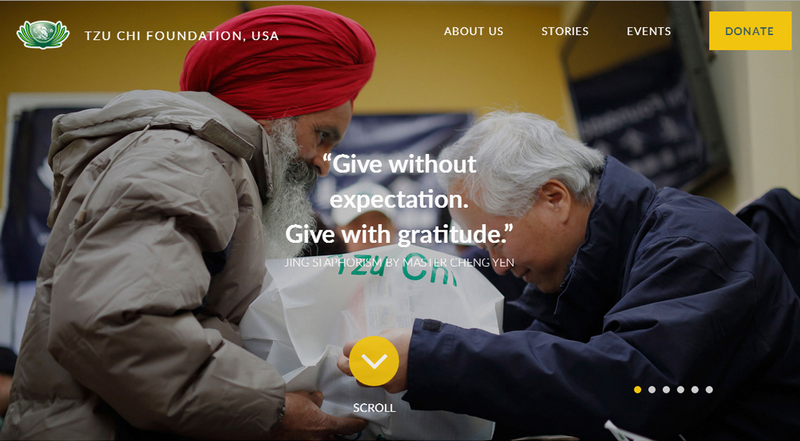 FOR IMMEDIATE RELEASE—January 12, 2015—ANN ARBOR, MI—Tzu Chi Foundation recently launched a powerful new website at www.tzuchi.us to help educate visitors about the Foundation’s mission and assist in the solicitation of donations. The shared goal of Tzu Chi volunteers is to cultivate sincerity, integrity, faith, and honesty within while exercising kindness, compassion, joy, and selflessness to humanity through concrete actions. Among Tzu Chi’s primary missions are charity, international relief, education, medicine and humanity, and recycling. While Tzu Chi is the largest charity organization in the Chinese-speaking community worldwide, the Foundation has been looking for a way to engage United States donors in a meaningful way. Tzu Chi came to Logic Solutions to develop a website that would help convey the organization’s belief that small amounts of money can turn into great love and have tremendous effect on those who are suffering. Logic developed the new website within three months. Central to Tzu Chi’s powerful, modern design is a simple donation system. Visitors can make donations of any amount through PayPal, by credit card, or by check. The site features beautiful imagery, human stories, and videos. Additionally, the site has responsive web design and uses vertical sliding sections and parallax to enhance user experience. An intuitive content management system allowed Tzu Chi’s non-technical staff to easily update and make edits. Tzu Chi US is celebrating its 26th anniversary this year. Logic Solutions is an international, privately held development firm headquartered in Ann Arbor, Michigan. With a team of 200 experts in six offices worldwide, Logic provides custom software, websites, eCommerce solutions, and mobile application development. Visit www.logicsolutions.com for more information.